Product contains milk, peanut, wheat, cashews, almonds, Brazil nuts, pecans, and soy. Produced in a facility that also processes egg, and other tree nuts (coconut, walnuts). 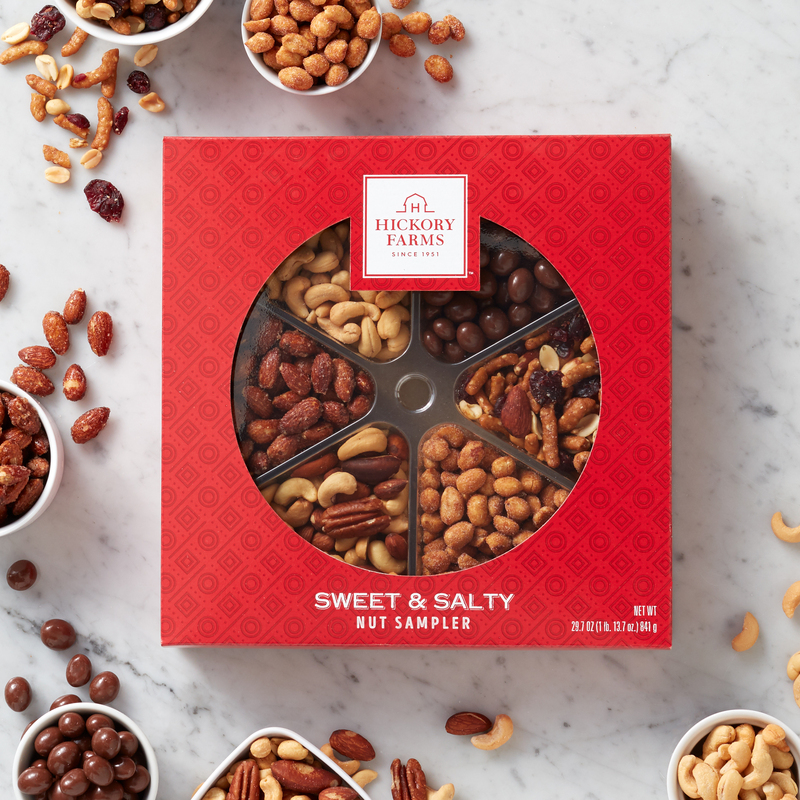 Everyone knows someone whose loves to snack, and this nut gift has something to satisfy every kind of craving. Choose from peanuts that are honey roasted or covered with milk chocolate. Add a sweet and tart flavor to your party with the Cranberry & Sesame Nut Mix. And for the traditionalists, there's Roasted Salted Whole Cashews, Glazed Almonds, and a Traditional Nut Mix. Bring it to a holiday party or put it out in your own home so you're always ready for a surprise guest or visit from a family member.